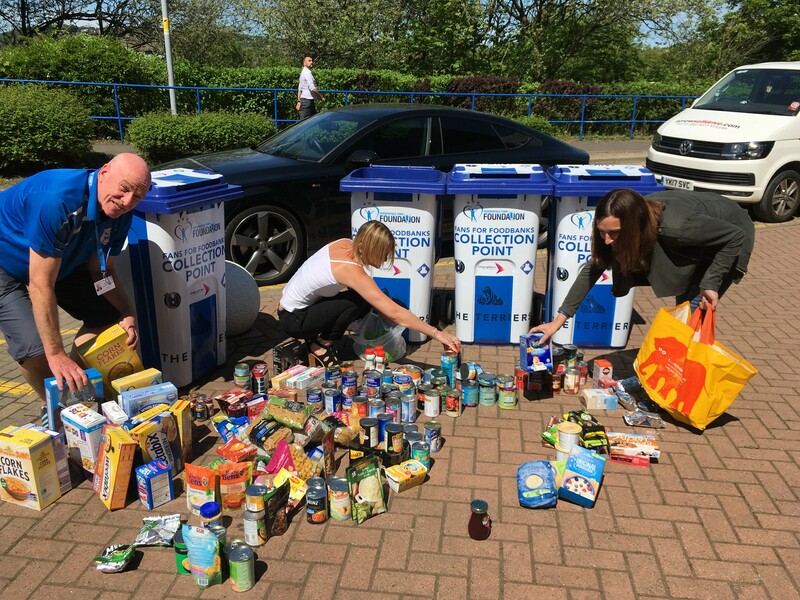 16 Apr FANS FOR FOODBANKS STILL MAKING A DIFFERENCE! With the game taking place on Easter weekend, the Town Foundation are also asking for Easter Egg donations if possible. The branded bins will be in place around the Stadium and PPG Canalside from 1pm up until kick-off, with supporters encouraged to try and bring at least one item, with multiple donations a huge help! However, fresh foods cannot be accepted. All donations from the weekend’s game will go to Batley Foodbank in the hope of continuing to make a difference in the surrounding area. With Saturday’s game being this season’s community fixture, there’s no better time to come together with fellow Town fans and help the Town Foundation to smash the donation count so far, whilst doing your bit for the local community. “It’s been overwhelming to see the levels of support the Town fans have offered towards this initiative in the last year. “I can assure everyone that the donations are already making a huge impact in the local area and we are hoping to continue that with the weekend’s collection.